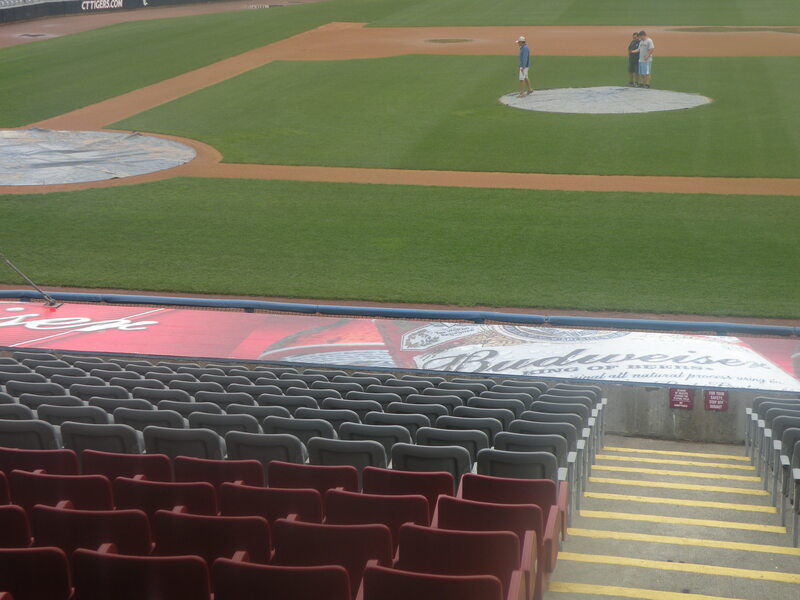 With the Home Opener tonight, the past few days have been spent putting the last minute touches on things. 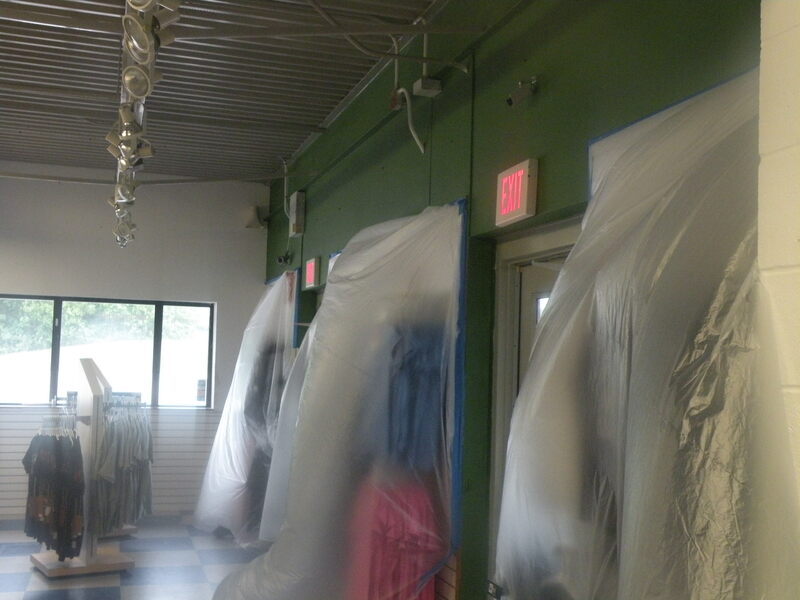 and received a new coat of paint. 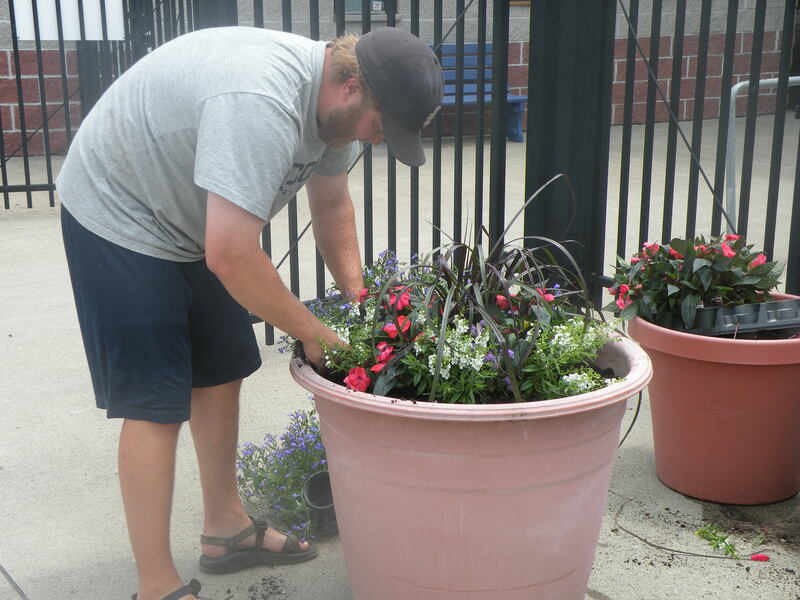 Beautiful flowers, donated from Hart’s Greenhouse & Florist in Norwich, have been placed around the ballpark. 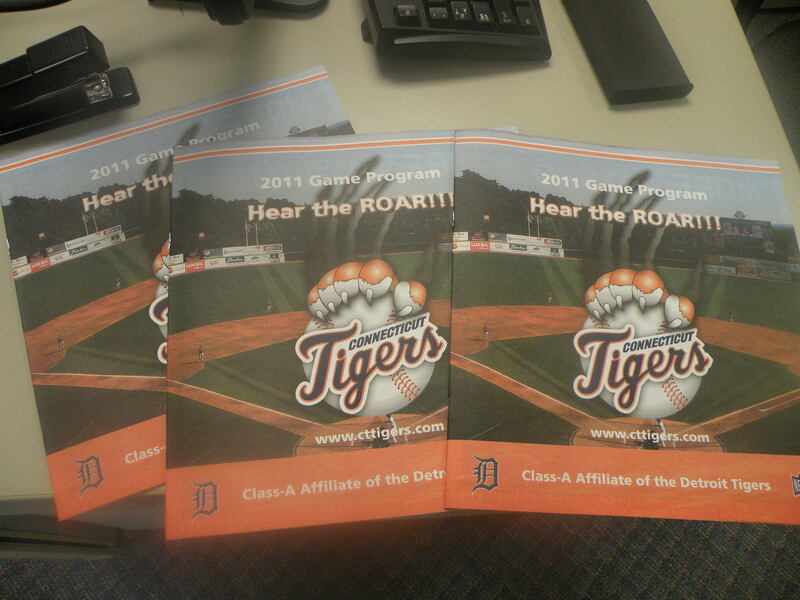 others store the 2011 Programs that were delivered on Friday. 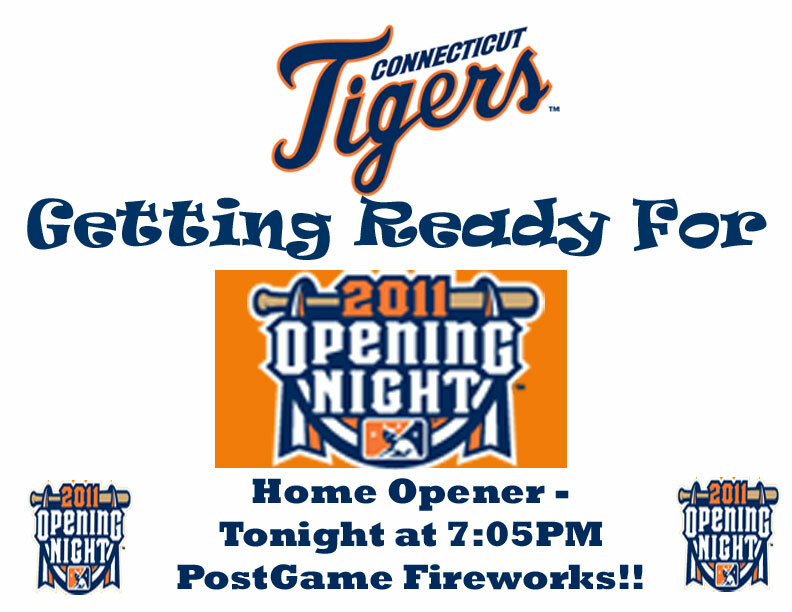 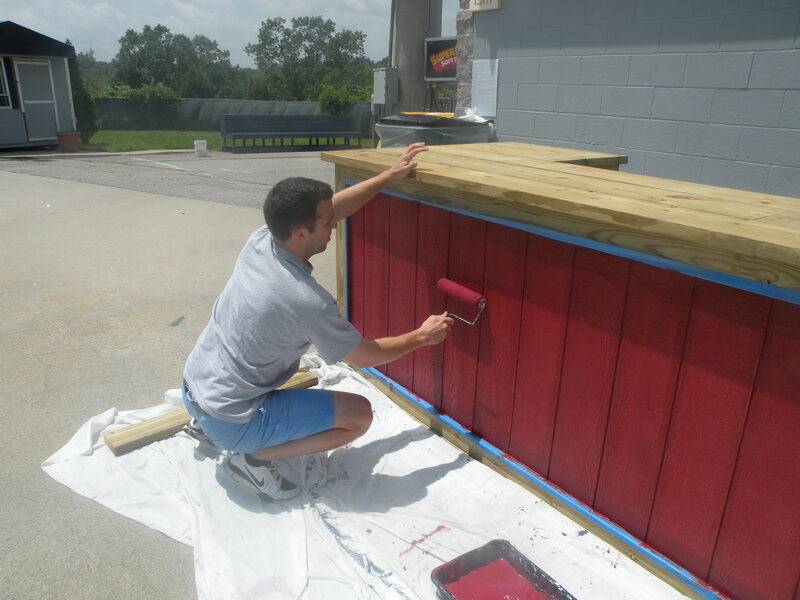 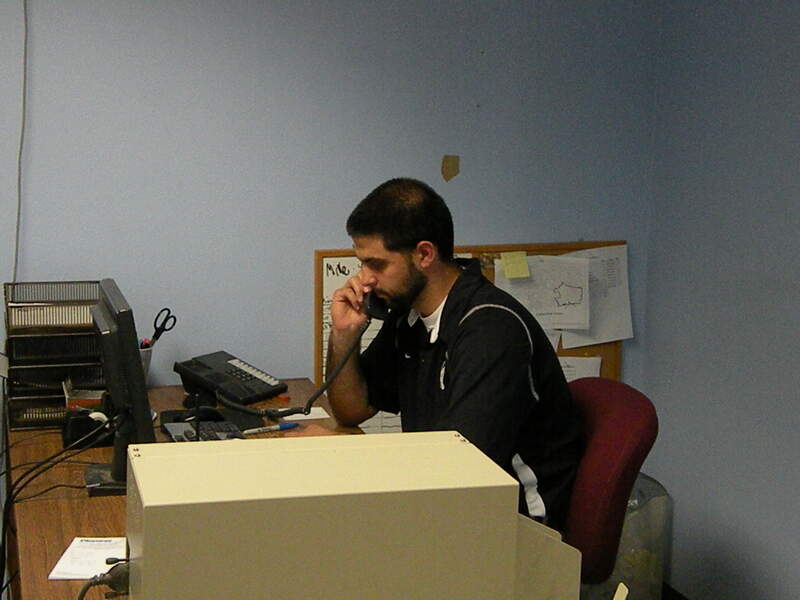 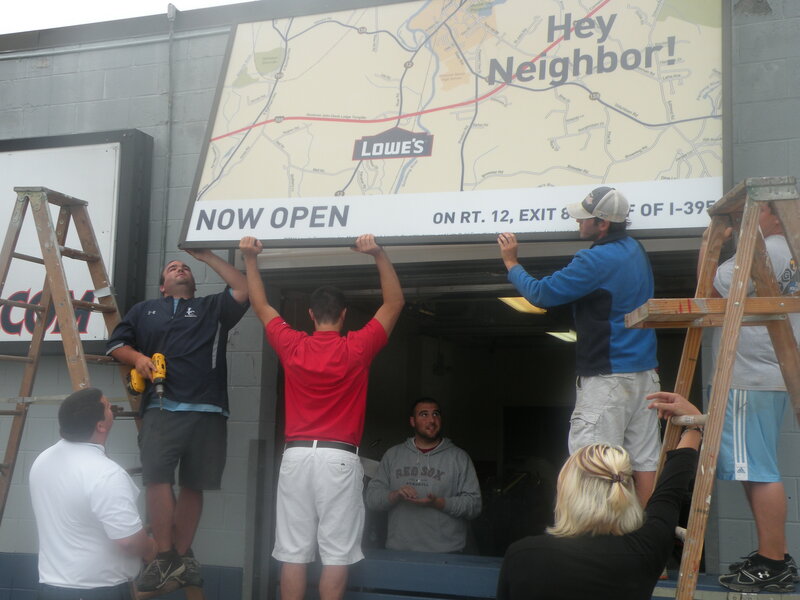 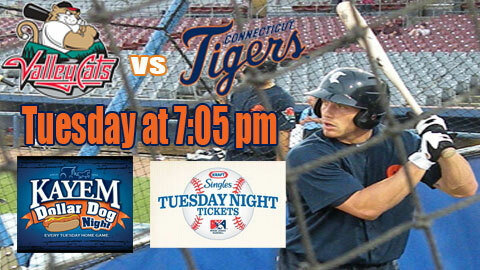 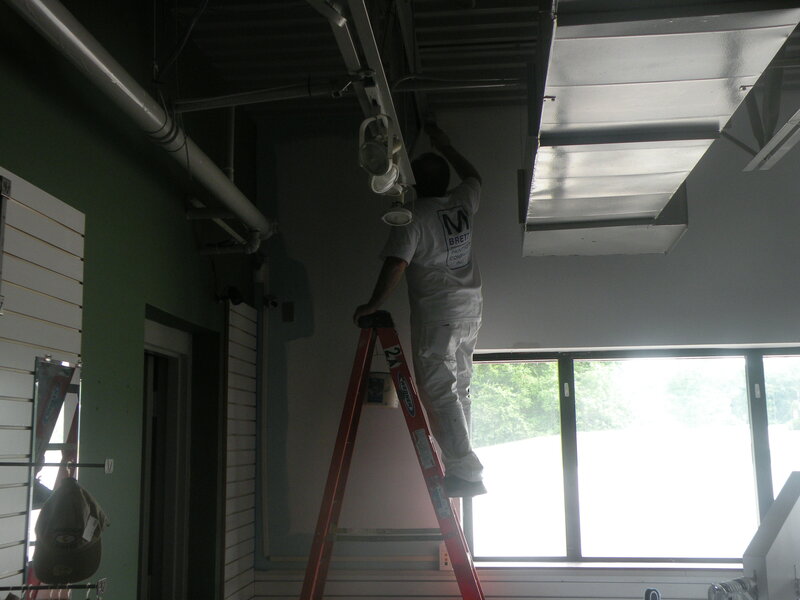 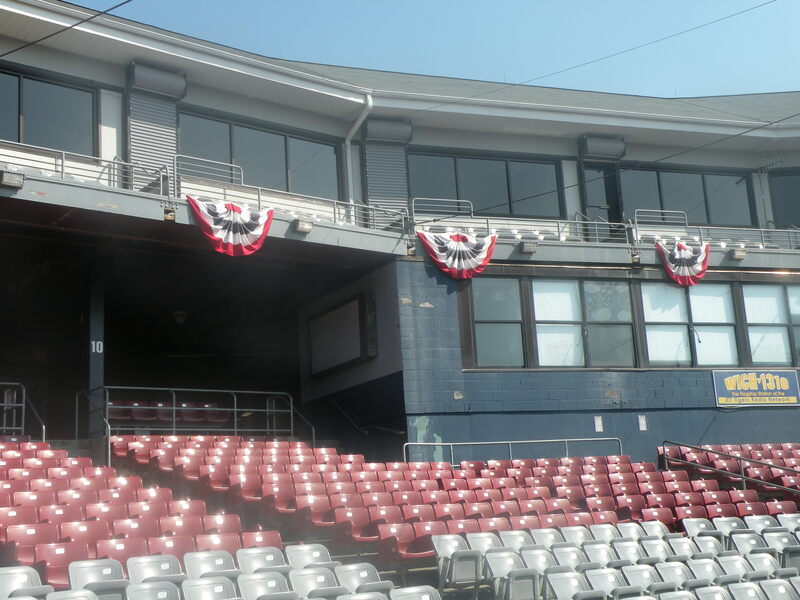 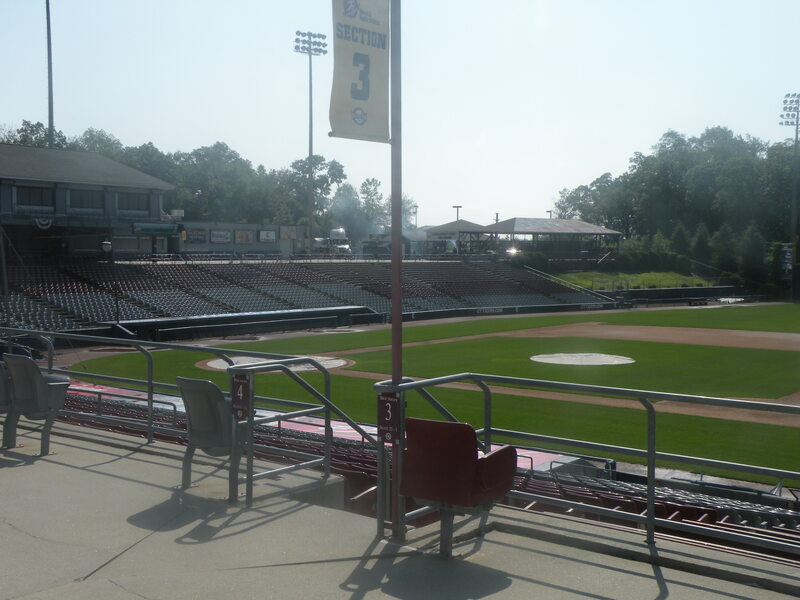 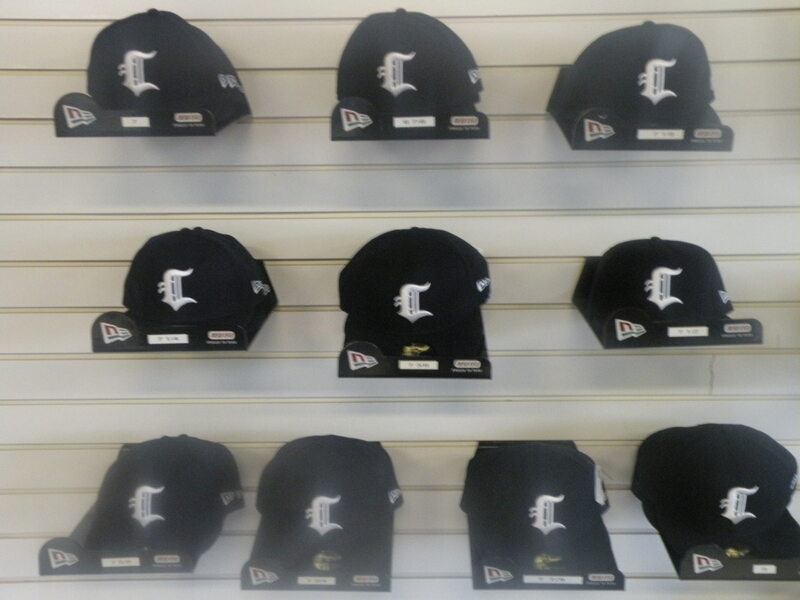 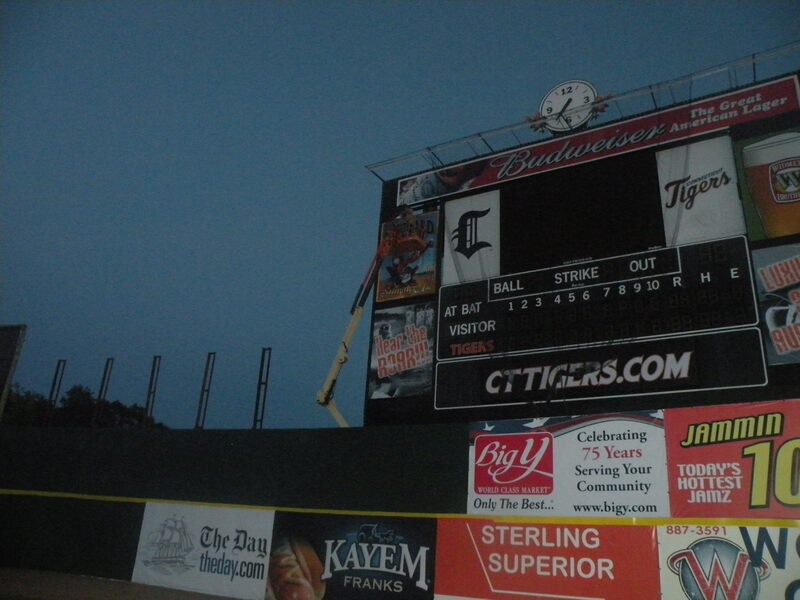 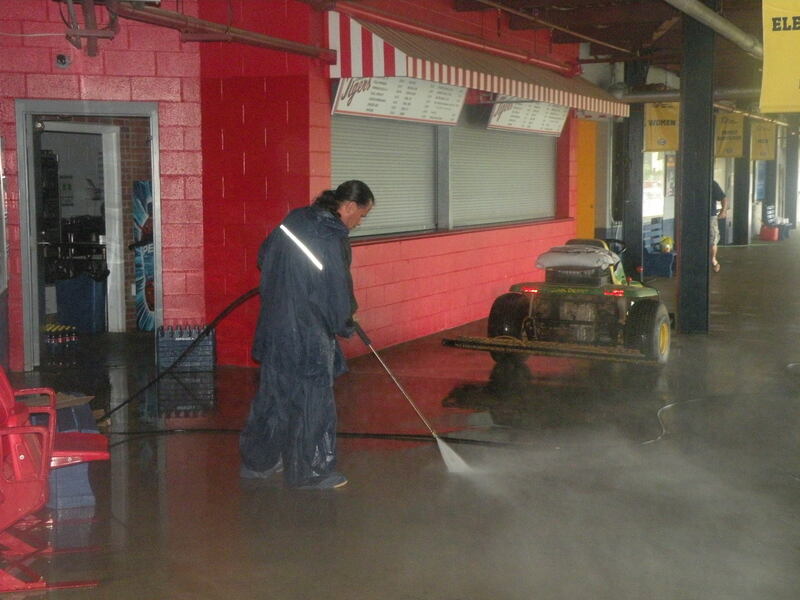 Throughout the offseason, the Tigers’ staff has been working hard to improve fans’ experience at Dodd Stadium. 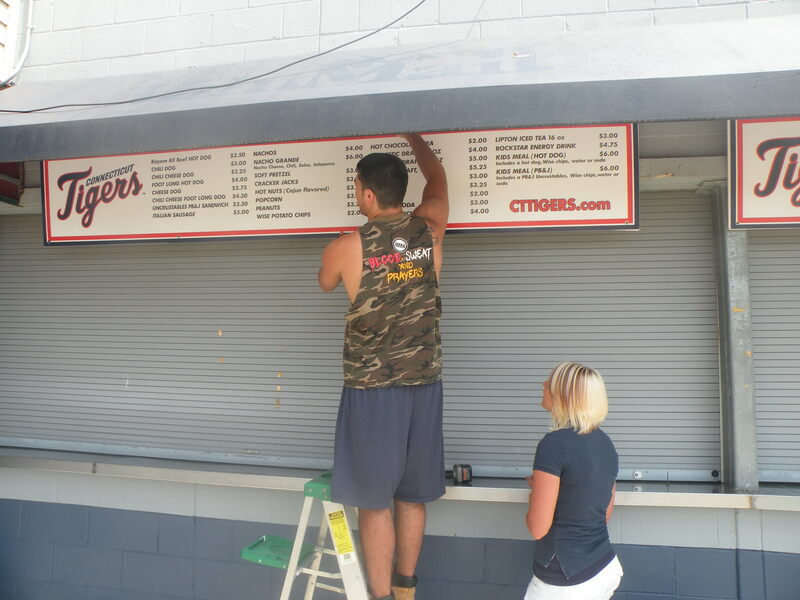 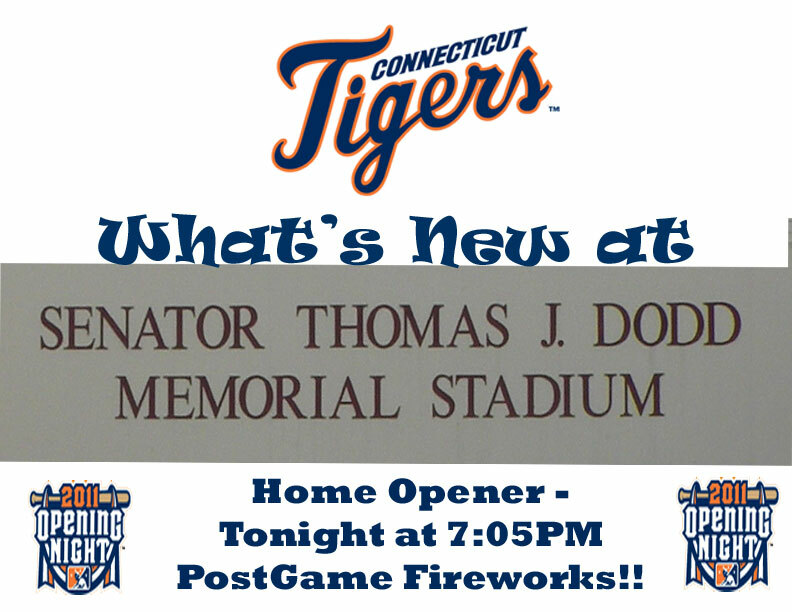 The biggest addition to Dodd Stadium is The Hole in the Wall. 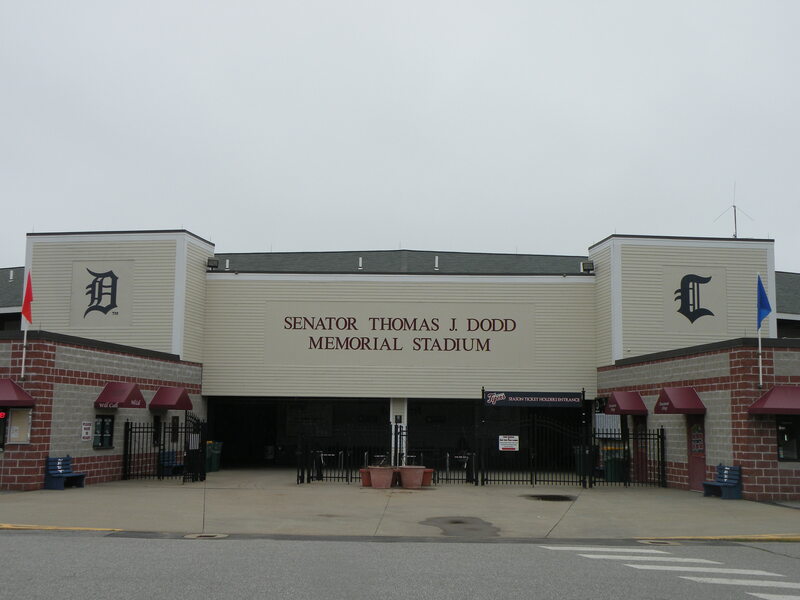 Tigers’ Front Office have been putting the finishing touches on the project, which began in early June, throughout the weekend. 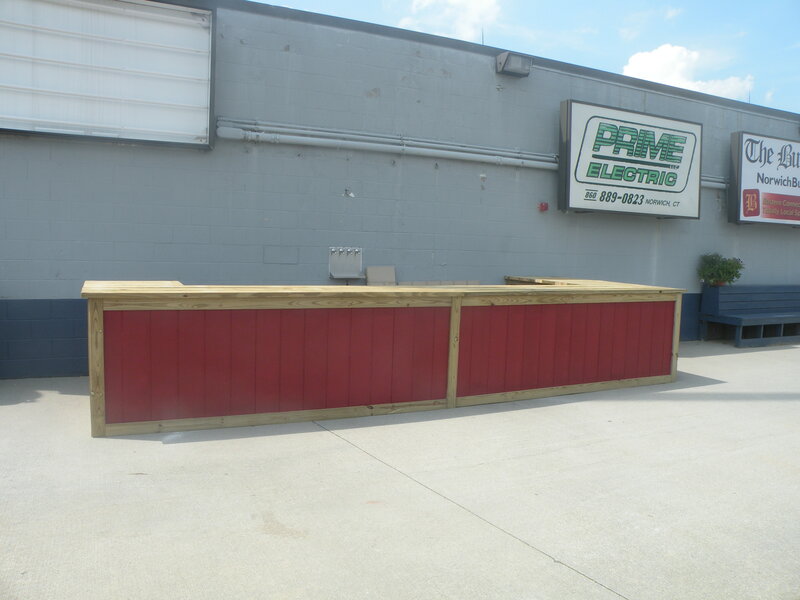 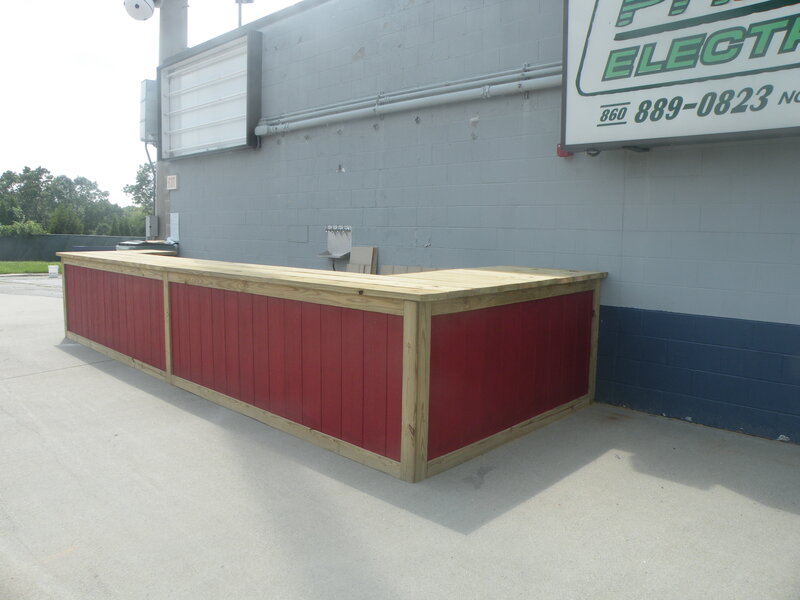 Located down the rightfield line, the Hole in the Wall gives fans another great option to enjoy the game. 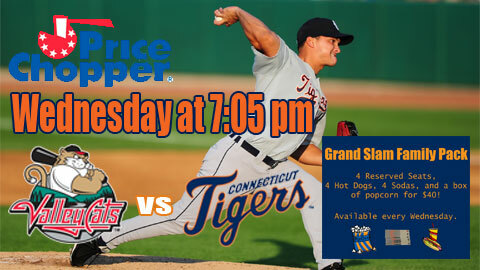 Fans can watch the game from an excellent view while having the choice of all 8 beers that the Tigers serve on tap. 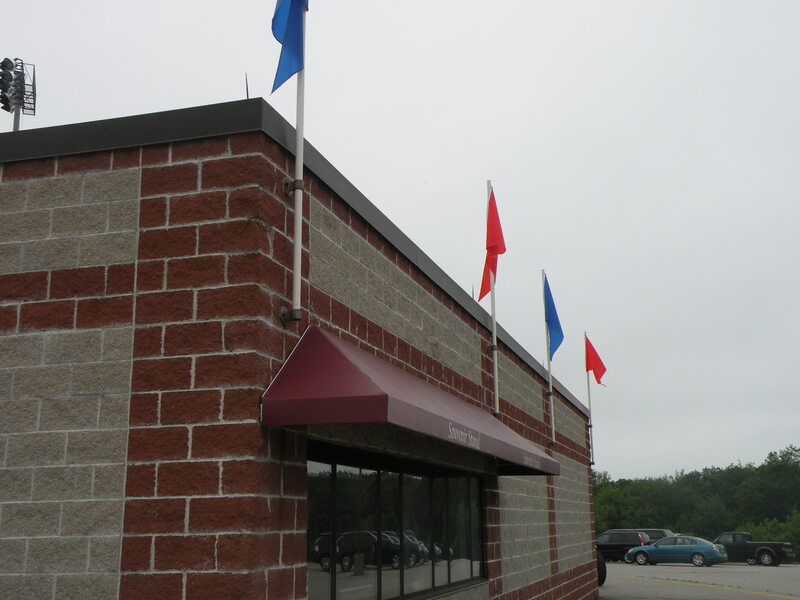 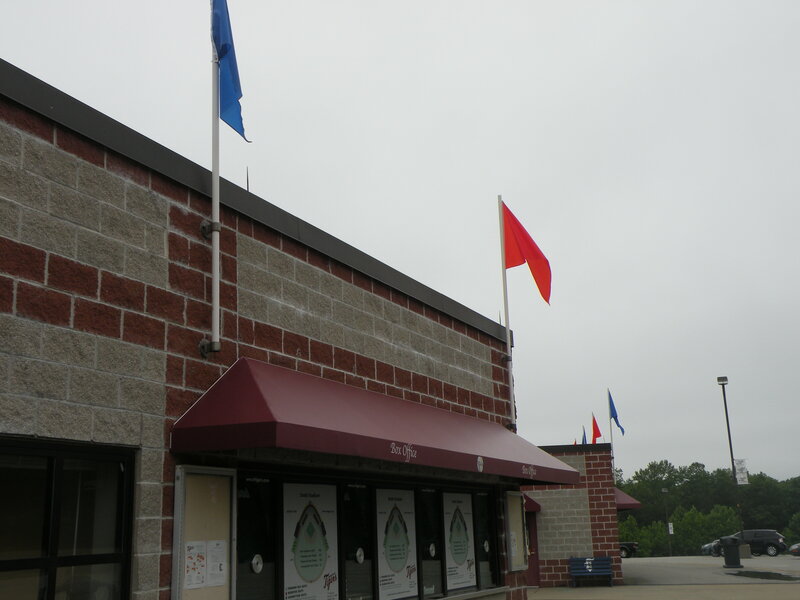 the Tigers’ colors, flying from the top of the Box Office and the Tigers Den. 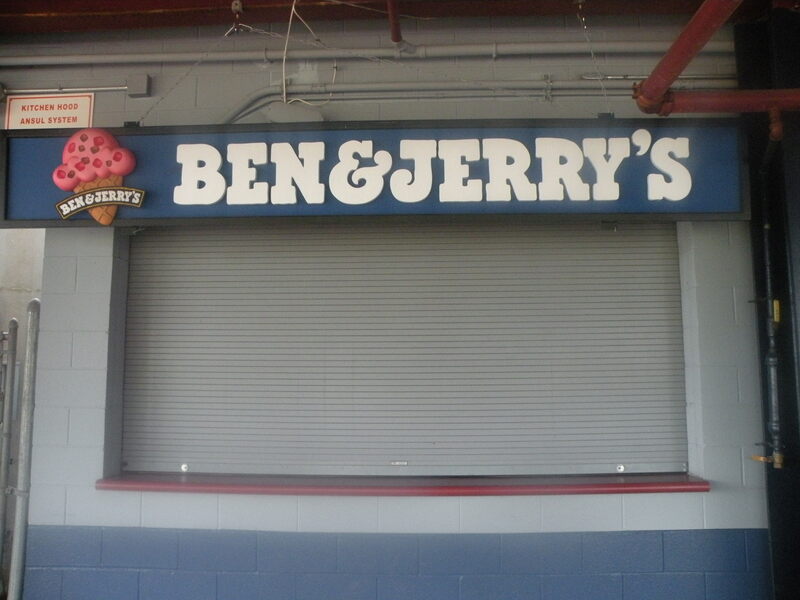 Ben and Jerrys is a new vendor at the ballpark. 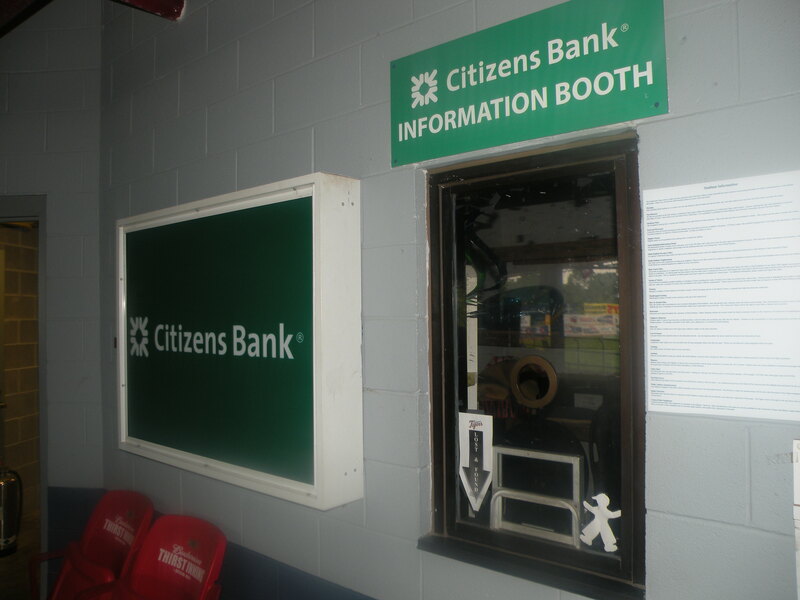 The Fan Information Booth is now sponsored by Citizens Bank. 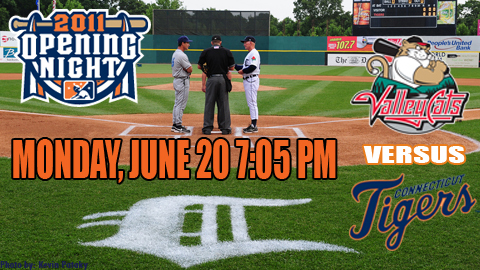 The bunting has been hung up as the Tigers’ Opening Homestand begins tonight.